Justice w/Rusko still going on tomorrow at Red Rocks. In light of Passion Pit canceling a string of shows recently, they were scheduled to perform with Justice at Red Rocks tomorrow, instead Justice will be headlining with Rusko instead (no a bad replacement if you ask me). Doors open at 6:00 PM, with the show starting at 7:30 PM. Tickets can be purchased here. 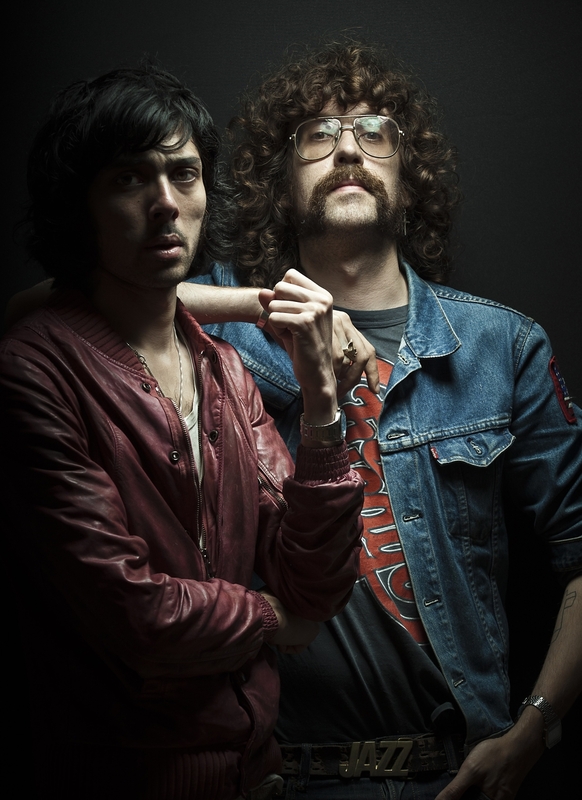 Justice, the world acclaimed electronic duo of Xavier de Rosnay & Gaspard Augé, today released a new five-song EP "New Lands". The EP's title track is culled from 2011's prog-dance masterwork Audio, Video, Disco and features remixes of the song by A-Trak, Sebastian, and Falcon, as well as a live version captured on the band's ever-extending world tour, to which a new US leg has just been added on top of previously announced dates at Red Rocks,Lollapalooza, Outside Lands, among several others (full dates below). The EP will be accompanied by a stunningly cinematic video directed by Canada that will be unveiled in the coming weeks. The band's manager and Ed Banger Records head honcho Busy P offered these thoughts on the EP: JUSTICE "NEW LANDS" EP includes some very familiar names. My oldest friend DJ FALCON was surfing away, it wasn't easy to get him out of the water and go back in the studio.He did it for us, his Roulé touch, like the perfect soundtrack for a little ride on the Pacific Coast Highway.A-TRAK is for me the North American side of Ed Banger records, here again, it was natural to ask him to remix his Justice friends.SEBASTIAN went downtempo, hipnotic, if you're fed with "Ni**as in Paris" (you heard it 11 times in a row...) you might like this joint!The Live version offers you a little taste of how JUSTICE can sound in a big room with people bleeding, sweating and crying.This is "NEW LANDS" Justice new single extract from "AUDIO, VIDEO, DISCO"